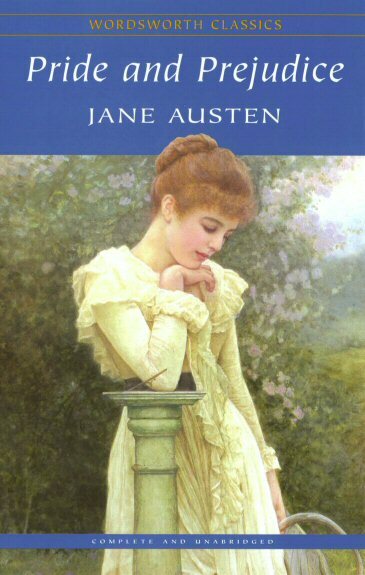 A bit abashed to admit this, but lo these many years after earning both bachelor and masters degrees in English, I've finally gotten around to reading Jane Austen. I'm just a contemporary American Lit kind of girl at heart, which is my excuse. But really, for a bookish chick who claims to be a bluestocking at heart, is there really any excuse? No. "There are few people whom I really love, and still fewer of whom I think well. The more I see of the world, the more am I dissatisfied with it; and every day confirms my belief of the inconsistency of all human characters, and of the little dependence that can be placed on the appearance of either merit or sense." Next up, perhaps Emma, or Sense and Sensibility. I would like to read Henry James, also. However, a few months ago I checked out The Wings of the Dove (I liked the movie, with kooky dear Helena Bonham-Carter), and felt completely illiterate trying to plow through the dense prose. I highly recommend it, if you're troubled and can't seem to fall asleep. Works like a charm!